Nothing Compares to U | Spaceship! Spaceship! Spaceship! Like every other warm blooded nerd on the planet I have now seen ROGUE ONE and certified it to be made of 100% pure Star Wars. I thought the movie was thoroughly entertaining and a wonderful set up to the action of the original 1977 movie. I am also slightly in love with the film’s curvaceous heroine – no, not Felicity Jones, but the U-Wing Fighter. There’s an official LEGO set, but in the meantime here’s this rather lovely Midi-Scale version by SPARKART! 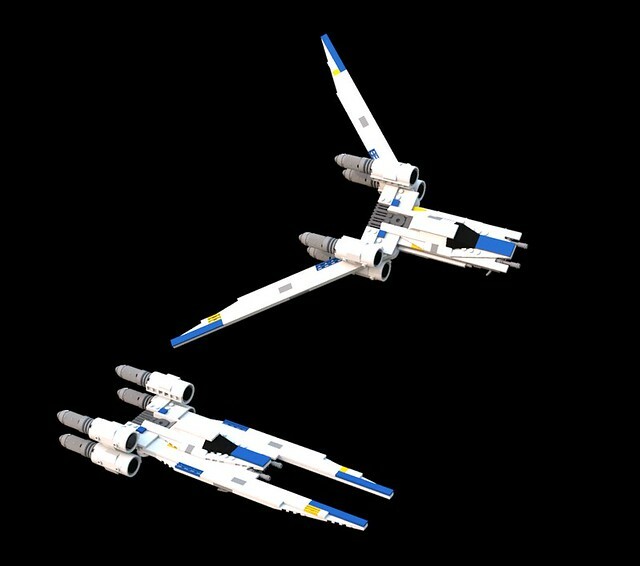 The U-Wing pushes all my spaceship buttons because it’s so functional. Of course you’re going to need a large troop-carrying ship to accompany your fleet of X-Wings and Y-Wings. This entry was tagged midi scale, MOC, star wars. Bookmark the permalink. Pingback: U2 | Spaceship! Spaceship! Spaceship!